Former stars have tipped France and Brazil as among the favorites to win the 2018 World Cup. 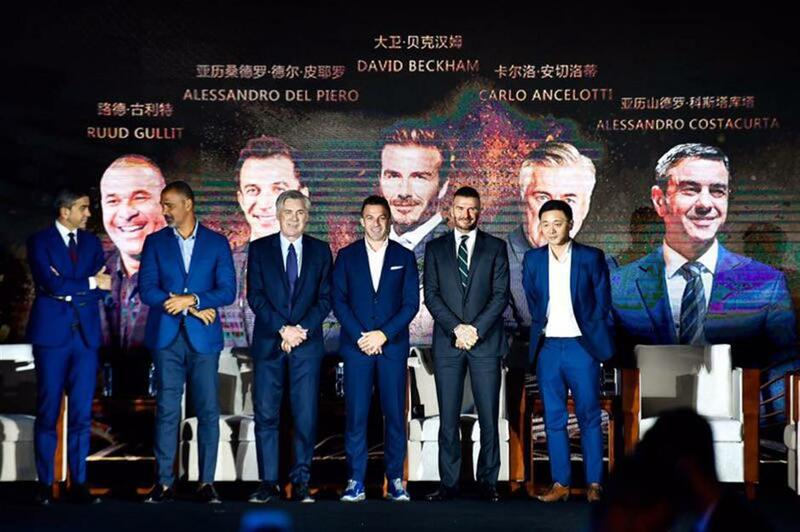 (From left) Alessandro Costacurta, Ruud Gullit, Carlo Ancelotti, Alessandro Del Piero and David Beckham attended the G-Expo held in Bengbu, Anhui Province. 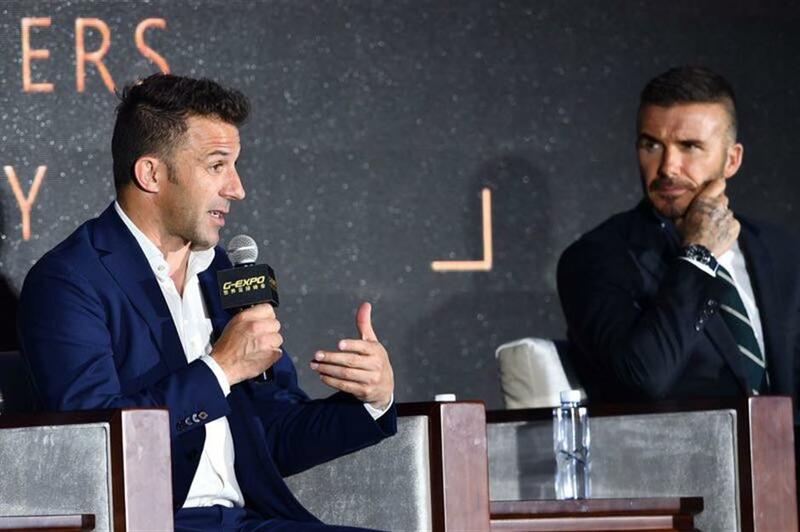 Star name players and coaches, including David Beckham, Carlo Ancelotti, Alessandro Del Piero, Ruud Gullit, and Alessandro Costacurta, made their predictions about the World Cup, kicking off in Russia next week, at the two-day G-Expo, a football-themed summit which concluded yesterday in Bengbu, neighboring Anhui Province. Costacurta, who is currently vice president of the Italian football association, had a high opinion about France. David Beckham kicks a ball with his eyes covered. Beckham had high hopes for his country in Russia. “England is always my first choice. Our players are young, but they are experienced after playing in the top-tier leagues. I am looking forward to seeing what Harry Kane will present to us this year. Dele Alli is also a young star worthy of attention. “I want to see England and Brazil meet in the final,” added the former England captain. Alessandro Del Piero talks during a forum at the G-Expo. Ancelotti named Brazil and Spain as his favorites. “If you want to win, you have to seek a balance between attack and defense. Brazil is very concentrated on its defense,” said the newly-appointed Napoli coach. “Brazil has a very strong midfield. Casemiro, Paulinho, Fernandinho and Augusto, they are balanced in both attack and defense. Though Neymar was injured before, he showed quite good form after coming back. I think Brazil is very well prepared,” the former Real Madrid and AC Milan boss added. Former Italy striker Del Piero predicted a repeat of the Brazil-Germany final from the 2014 World Cup in Brazil. The Juventus legend took part in a five-kilometer race at Longzi Lake on Wednesday morning, along with 1,600 local runners, that declared the summit open. Football-themed speeches, forums and discussions were held at the expo, providing a communication platform for industry insiders and football fans.